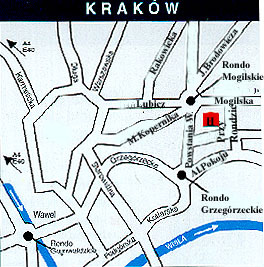 Hotel Chopin is located in the center of Krakow, only a few minutes walk to the main station and the old town. We offer 219 rooms which include: single, double rooms. All rooms are equipped with a bathroom, satellite tv and self dial telephone. To our guests disposal are 5 conference rooms, with accessories such as projector, screen, tv set. We participate in organizing conferences, meetings, wedding celebrations. Our restaurant is open everyday from 12:00 hours until 22:30 hours and offers first class French and international cuisine. There is a also a car park for our guests.